Your website is often the first exposure that people will have to your brand, so you need to make it appealing, informative and functional. As the saying goes, you only have one chance to make a first impression. When you entrust your website to g[squared], you can be confident that it will be consistent with your brand and tailored to meet your business and marketing goals and the needs of your clients. 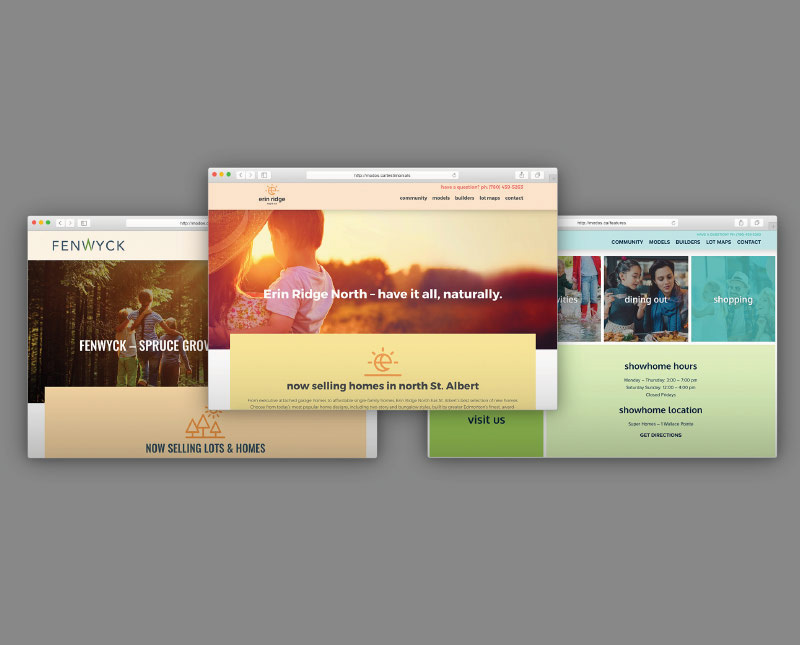 In fact, every website we create is custom designed—no pre-made templates here. We combine form, function and content to engage your target audience online and provide a great user experience that inspires them to take action. Your website is a critical touchpoint for your business or organization, working 24/7 to connect you with current and future clients. If it hasn’t been strategically developed, designed and optimized, you could be missing out on great marketing and communications opportunities. g[squared] has more than 15 years of experience designing, developing and maintaining responsive, results-driven websites for a variety of clients: B2B, B2C, non-profit organizations and more. The web design and development process takes many forms, depending on your budget, timeline and the scale and scope of the project. Click on the icons below to learn more about our usual process. During our research phase, we will gain an understanding about what you want your website to achieve. This can include communicating your organization’s position to your stakeholders, making target audiences aware of your product or service, selling a line of products and more. We typically get input from different departments, such as executive, sales/service, and customers themselves. After we’ve identified your website goals, we’ll strive to understand your target audiences, including who they are, what they want and how they will interact with the website. We will also research and discuss your competitors to understand how they are presenting themselves. With the website goals firmly established, we take the information from the research phase and determine how the website will achieve them. Our strategy will include important elements like technology, design, features, content, and much more so we can create a strategy that provides a great user experience while achieving the established website goals. Our web design is tailored to your specific needs—think of it as ordering a bespoke suit versus buying an outfit off the rack. Based on your business and marketing goals, website visitors and content strategy, we build a site architecture that is clear, intuitive and user-centred. We then create a visual mock-up of the home page and an interior page for desktop and mobile to give you a sense of the function and feel of your new site. If your website needs new or revised content, our communications specialists provide copywriting, editing and proofing services to ensure that your content connects with your target audience and your site is well ranked by search engines. Our developers will build your new site and ensure that both form and function are optimized. The end result will be a responsive website that achieves its stated goals and functions well regardless of the device used to access it. In the week prior to launch, a full assessment is conducted to ensure that all elements involved in the success of your site are accounted for. This includes submitting your site to search engines and using the right keywords and meta tags to ensure that your target audience finds your website easily when searching for relevant and engaging content. Once your website is launched, we monitor your website analytics to ensure that it’s achieving the goals we defined at the beginning, and we make improvements based on how your visitors are interacting with the site. Some of our clients are real keeners, so as part of our training program, we can teach you how to read your analytics data in addition to teaching you how to make basic website updates.